You need to know how to clean a camera lens but you don't know where to start. There are as many articles covering camera lens cleaning tips as there are hairs on my head - and I still have a full head of hair! How should YOU clean your camera lens? Here is the definite guide, the complete solution, the insider secret tips, the lens cleaning manual, and the best path to follow to get your camera lens clean. Okay. Let's get serious now. 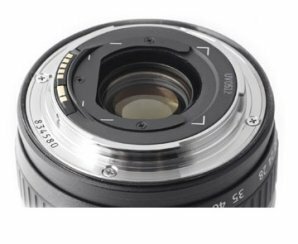 The act of cleaning a digital camera lens is only daunting until you read a few tips on cleaning your lens. With just a little caution and patience, you really can do it yourself and have no problems. It is important to have a clean camera lens. You likely already know that smudges, fingerprints, and dust can degrade the quality of your photos. Otherwise, you wouldn't be reading this article. Somewhat forgotten is that over time, dirt and grime can penetrate internally and zooming and focus mechanisms can be damaged. You have two options when it comes to getting your camera lens in tip-top shape for crystal sharp photos. 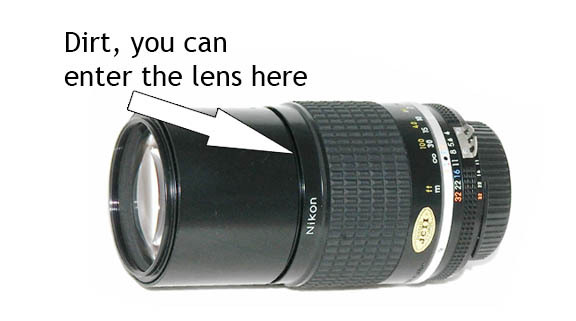 You can do a complete lens cleaning, which involves cleaning all aspects of your lens. 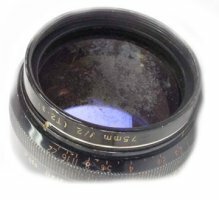 Just the front lens surface, which is the most likely part of your lens that needs cleaning first. Unfortunately, there is a lot of bad information out there on camera lens cleaning techniques, on both when and how to get a clean lens. Let's get it done without spending a ton of money and without scratching your lens. Here's lowdown on the order of the steps you should take. First, we'll cover the complete lens cleaning. This is what you want to do if you've neglected your lens for a while, if you've purchased a used lens, received an older lens from a friend, or happened to let it get dirty from a particular type of photo shoot. clean the lens surfaces - the last and most important surfaces to clean. Knowing how to clean a camera lens includes a little bit of preparation. Wash your hands first. Your skin contains natural oils that can transfer to the camera, the lens, and the lens cleaning tools that you touch, and that touch your lens. Wipe down your work table and give yourself enough space for your camera, lens, caps, and whatever lens cleaning tools you will be using. 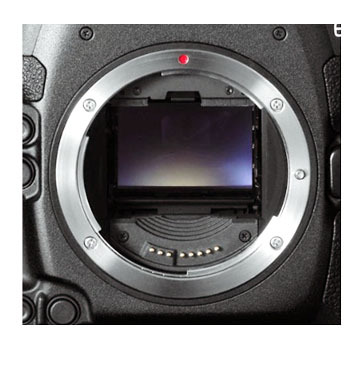 A wind-free area will keep dust from entering into your camera body when the lens is removed. Clean the mounting flange on the camera too. You won't see any difference in image quality, but preventative cleaning maintenance is always a good idea. If you have a few lenses, clean them all of your lenses at the same time. You've taken the time to assemble what you need to clean your lenses. It make sense to do them all at once. Knowing how to clean a camera lens also includes having the right tools to begin with. Some of these 7 lens cleaning tools are specifically designed with lens cleaning in mind. Others are used primarily for other purposes, but work great for cleaning your camera lenses too. They're all affordable and worth getting to keep your camera lens and your photography clean. Okay, here we go. Cotton swabs are great for cleaning those little hard-to-get areas on the lens mount, both on the camera body and on the lens. Just one drop of lens cleaning solution on the tip and some circular rubbing will do the trip. 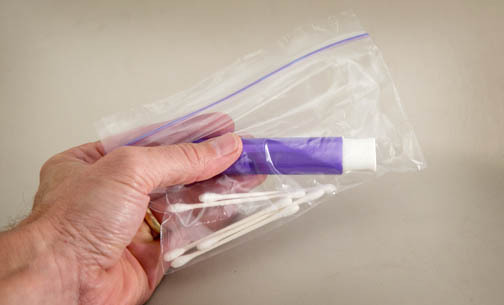 Discard the cotton swab after use. Cotton swabs left out in the open are dust collectors too. They should be stored in a dust free environment just like you cameras. lenses , and other photography accessories. Remarkably popular, relatively new, lens cleaning pens are designed to be effective and convenient. You can hold them in your hand like a traditional pen or pencil to use. The carbon end can be "re-charged" by inserting and rotating it within the cap, so it's better than a disposable one-time only lens-cleaning tool. 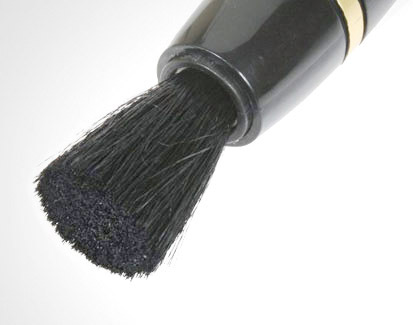 The brush end should be kept clean by a cap or having a cover. They do have a limited number of uses and if they become dirty, then it's time to discard them. Because of the round carbon end these lens pens are really good at cleaning the edge of lens. It is CRITICAL that the carbon end is free of any dirt or grit that will scratch your lens. Too many repeated uses will cause them to be less effective. LensPen Instruction PDF Link to the LensPen web site. Or you can just read consumer reviews on Lens Pens. This may seem unusual at first, but think about it for a second. I use ziplock bags in several ways in taking care of my photography equipment. One of them includes keeping my lens cleaning equipment clean and dust free. Plastic bags? Yes, sealable plastic bags are a great way to keep your lens cleaning tools clean. They keep out dirt, dust, and moisture. Heck, I even use sealable plastic bags to store my old lenses and cameras that are sitting on a shelf. Blowers are easy to use, safe, and effective at blowing away dust. Use the blower BEFORE you physically clean the surfaces. Blowers can also be used with caution on camera sensors, but the tip should never come in contact with your camera lens or sensor. The well made blowers have a one-way air valve that reduces dust being drawn back into the bulb. 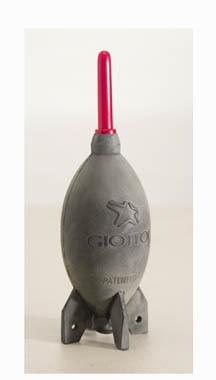 The Giottos rocket air blaster is by far the biggest seller. 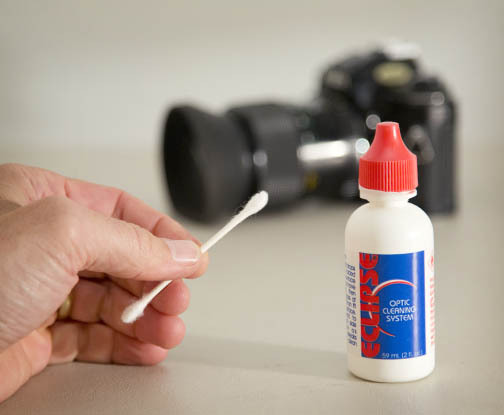 Lens cleaning solutions are specifically made for gently cleaning lenses without damaging them. These solutions can be used with lens tissue or with lens cloths. The key is to only use one drop at a time. Repeat with a new sheet of lens tissue or different cloth if needed. You can use a tooth brush for scraping out lens barrel grooves. Over time sludge and crud can build up from so much handling. Your lens-cleaning toothbrush should be new and dedicated only for cleaning camera equipment - not your teeth. The travel toothbrushes are compact and come with a cover to keep the bristles clean. 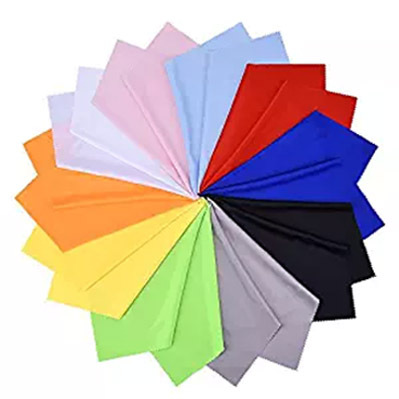 The MagicFiber cloth is one of the most popular AND highly rated products on Amazon I've ever researched. They're very versatile too. I've used them on my computer monitor too. Other consumers have used them on their fishtanks, ipod, and telephone. One reviewer said: "These cloths rock the heck out of dirt, grime, smudge, oil, dust etc"
One word of caution: If used for camera lenses, use only on lenses a few times and don't use the same cloth for cleaning other things. Secondly, don't use with a lens cleaning solution. Other uses: your eyeglasses, sunglasses, binoculars, and telescopes. Cleaning the lens too often. Only clean when necessary. Every time you touch the lens with any cleaning tool, there is at least some risk of scratching the lens or its coatings. 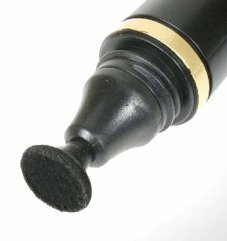 Scratching the lens with cloth or tissue lens pen that is not 100% void of any grit or dirt. Forgetting to clean the lens barrel. Cleaning the lens caps these BEFORE you remove your lens. Using an abrasive glass cleaner or acetone with abrasive chemicals that could damage the lens surface, or have adverse effects on the plastic and metal surfaces. 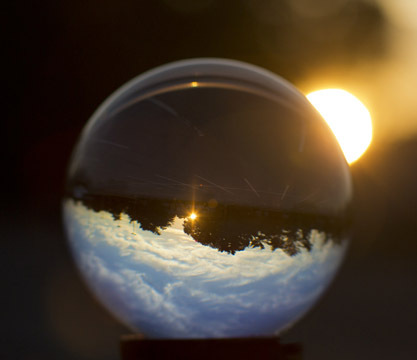 Cleaning the lens in a dusty environment or on a dirty table. Dust is the worst enemy of lenses. 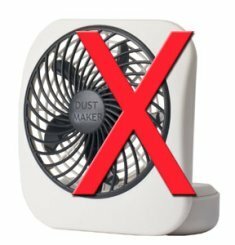 Dust is easy to blow away and does no lens damage. Often it's the smudge on the camera end of the lens that degrades an image without photographer's knowledge because it is often unseen. You have to clean your lens regularly and frequently. Nope, only when really needed. Over cleaning just increases your likelihood of scratching or damaging your lens. You don't know how to clean a camera lens so you have to take it to a camera store or send it away. Wrong. There are camera lens cleaning services near you. These are great if you have the money to blow and want nothing to do with lens cleaning yourself. Follow the lens cleaning tips on this page and you can save money and clean your camera lens effectively and safely with confidence! I cringe every time I see someone use their dirty breath to clean a lens. Cleaning a digital camera lens by breathing on it is not a good idea. Check out this video. It's a excellent view on how well lens cleaning pens will work for you. It's the simplest way to clean the front surface of your lens, which is the the most important part of the lens to clean. Contrasting with the simple lens cleaning video above, is the complete A to Z lens cleaning tutorial below. You'll learn about cleaning every part of your camera lens. This video shows the order you should do the various steps of cleaning your camera lens. Just like a lot of other digital camera accessory kits, you have so many options available that it won't be a problem for you to find one that's just right for what you're looking to accomplish. There's simply no reason to even consider a lens cleaning kit that has less than a 4.5 star rating or better from the photographers who've rated them. The large majority of camera lens cleaning kits are less than $20 and most have positive ratings. It would take me decades to test them all. The best way to find the right one is to do a search and use filters to narrow down your choices. Use this search box and enter "camera lens cleaning kits." Filter your results by clicking the appropriate boxes on the left. Choose a kit and read 5 consumer reviews on it to find out what's relevant with the specific lens cleaning kit. you'll know right away if it's a good fit for you. Just like the colossal number of kits for cleaning your digital camera lenses, the same holds true for where you can buy camera lens cleaning accessories. You can get good deals all over the place, but there is definitely one best place to read the reviews on products made to clean your camera lens. Amazon has more, in-depth reviews of camera equipment than anyone else on the planet. Cleaning your digital camera lens involves using the right tool and just takes a little patience. One final reminder on how to clean a camera lens: Any tool can scratch a lens or a filter if there is grit embedded in it. Use common sense and caution. If this article on how to clean a camera lens was any help at all, please share.